I’m not a particularly dedicated bargain shopper, but I do love finding deals at Target. It’s my favorite place to shop for clothes (don’t judge my style), and I love Market Pantry groceries and up & up toiletries. Prices are already competitive, and Target regularly runs sales and coupons a smart deal stacker can have a field day with. …If she knows where to look. But chasing after coupons for the ubiquitous retailer can be time-consuming, at best. And just plain annoying, at worst. That’s why we love deal aggregators. For Target deals, one of the best is Totally Target. 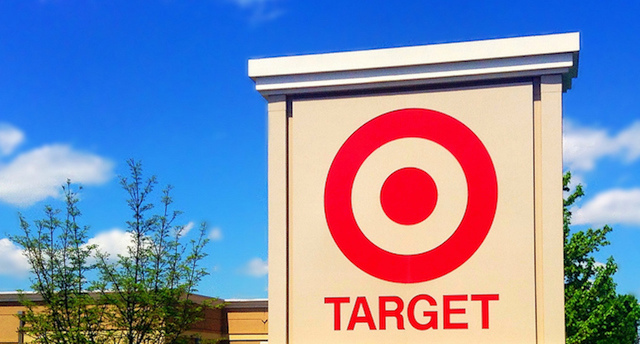 Here are nine ways Totally Target helps you save money at Target. Instead of spending your day clipping coupons, let Totally Target take care of it for you. Before you shop, search the website’s huge coupon database to find discounts for the items on your list. For example, I searched “cereal” and found 147 available coupons. I narrowed it down to “Special K” and found seven, including online coupons, printables and Cartwheel deals. Ad scan: Browse an image of the same ad shoppers see in stores. Coupon matchups: See a list of advertised sales and coupons to use with them. Best deals of the week: See a list of hand-picked deals, so you don’t have to browse the full ad. Blog post deals: Follow the blog’s “Weekly Ad” category to see updates of the best deals. Find tons of ways to get free Target gift cards in TT’s list of Special Gift Card deals. Paying attention to these deals is a smart way to ultimately rack up huge savings! The page also includes unadvertised “special purchase deals,” and you get a freebie when you buy a particular item. We always recommend checking your rebate apps before you go grocery shopping — but Totally Target makes it even simpler. The site rounds up existing rebates and organizes them by app — Ibotta — and mail-in rebates. The site even lists Catalina deals — the coupons you get with your receipt to use on your next purchase. Yep, those are based on your purchases, and Totally Target will tell you which purchases yield which deals. Long-term price cuts and clearance sales are rarely included in weekly ads. You might miss them, unless you have time to peruse the entire store for sale signs. Totally Target keeps a running list of these long-term deals, along with coupons to stack on top of them. This is awesome to browse while you’re making your shopping list. Items are split by category — grocery, household, health and beauty, etc. — so it’s another way to find deals on just what you need, without browsing a whole ad. If you’re new to couponing and all of this sounds overwhelming, Totally Target has a simple starter guide. Read tips for finding and organizing coupons in general, all the places to find Target coupons and couponing lingo. Take a look at this guide before diving into the site, so you can decipher the deals! Follow the Totally Target blog or social media for updates on new deals discovered in the store. These are good reminders for seasonal sales — like candy savings after Easter or Valentine’s Day — that come and go quickly. Through blog or Facebook page comments, you can connect with other Target fanatics and even share deals you find yourself. You can also subscribe to Totally Target via RSS or email to stay abreast of deals as they come out. Your Turn: Do you follow Totally Target? How has it helped you save money?